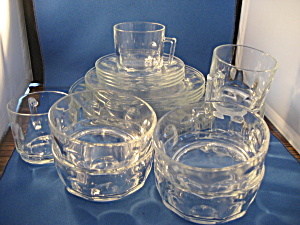 Whole set of four Arcoroc clear dishes. This includes 9" plates, 7 1/2" salad plates, 4 1/4" bowls and cups and saucers. All are in excellent condition.